SEA Institute – Verde Island Passage (VIP), in cooperation with PUSOD, Inc., is engaged in a Community Needs Survey in Barangay San Teodoro, Mabini, Batangas. 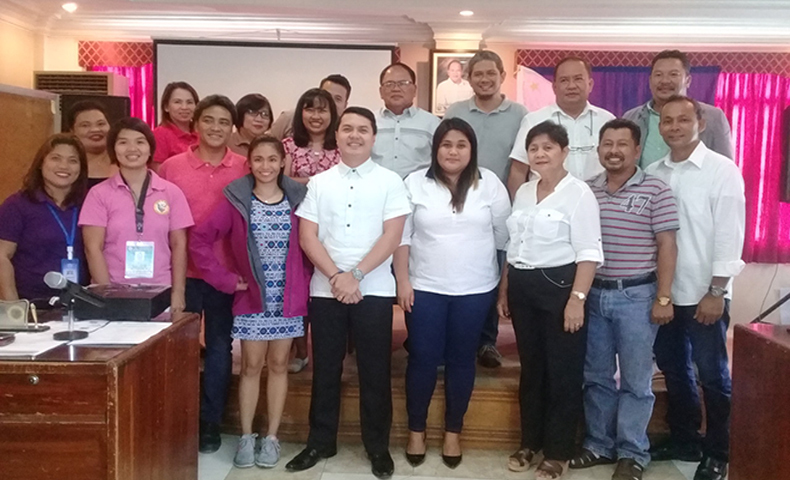 This two-month program will identify conservation and social livelihood projects that will help this coastal barangay of 2,500 residents protect and preserve its world renowned coral reefs and habitats. SEA-VIP will provide technical expertise, institutional linkages and financial support for these projects. 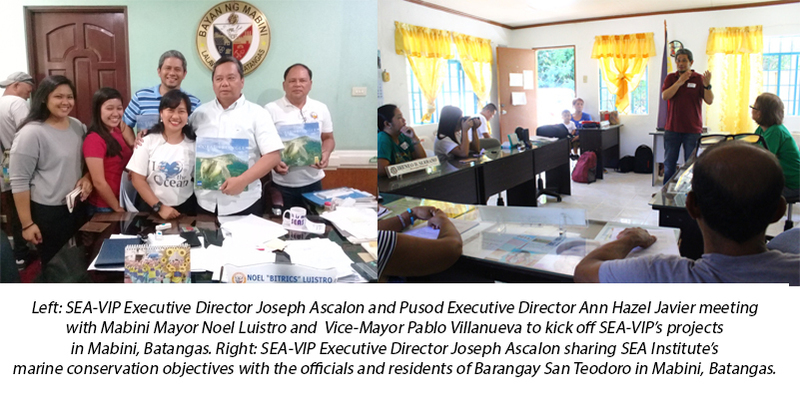 Barangay San Teodoro will be a model community where marine education and conservation programs can be tested and then reapplied to other communities in the Verde Island Passage - the center of the center of global marine biodiversity. SEA Institute is a partner of Bantay Kalikasan in preserving and protecting the Verde Island Passage. The VIP connects the coastlines of Batangas, Marinduque, Occidental Mindoro, Oriental Mindoro, and Romblon. Lobo, Batangas is one of Bantay Kalikasan’s 14 assisted communities.